During the past few months, Bitcoin has featured frequently in the headlines, after consistently beating out its own records in terms of value. On one December trading day the price of a single Bitcoin reached more than $20,000. Its value has since weakened. However, even following its depreciation this is a currency which has increased in value by the thousands of percent in a very short time. Bitcoin is a virtual currency based on complex and complicated algorithms, and is highly encrypted. Computer experts around the world claim that it cannot be hacked. Development of the currency began as a response to the 2008 economic crisis. Over the last few years, as a result of the major demand for Bitcoin, its value has risen by the thousands of percent. Many Bitcoin owners earned substantial sums of money, some of whom have cashed in their profits, while others chose not to do so. It appears that the developers of the currency had two main goals: the first – to negatively affect the global financial system; the second – to generate profits. It also appears that the primary goal of Bitcoin is to replace the dollar as the main currency used in the majority of international transactions. Over the years, since World War II, the dollar has been the dominant global currency – with both older and newer currencies, such as the pound sterling and the euro, having failed to replace it as the central currency. Will a stronger Bitcoin harm the banking system? The strengthening of Bitcoin and other virtual currencies poses a threat to the various central banks and countries. 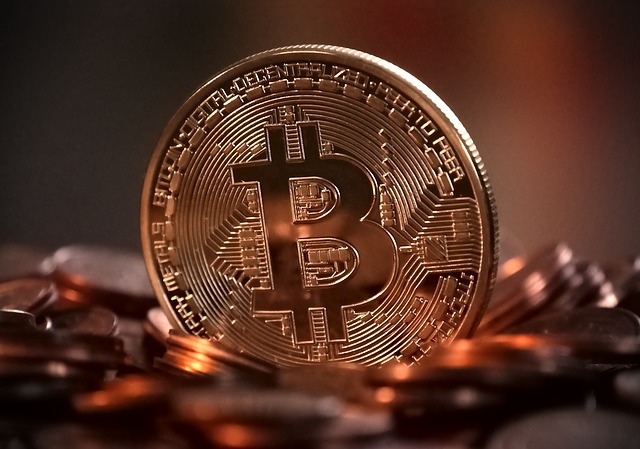 Although the virtual currency is passed from person to person, the interaction is not carried out through the banking system, thereby negatively affecting it. Even the redeeming of the currency is not handled through the banking system. However, unlike a bank, Bitcoin does not provide credit services. Bitcoin is based on a technology called Blockchain – a highly advanced technology that enables the creation of secure business activity on the network without the need for a central body to manage these activities. Major global banks, such as J.P. Morgan, are currently studying this technology and are interested in using it through the banking system. The risk to the banking system is the development of new technologies that will surpass its existing technology. One of the banking system’s primary concerns is that such advanced technologies will lead to significant manpower reductions. This concern stems from a trend prevalent in a variety of areas in the world, in which technology changes and streamlines processes, thereby harming the banks and its employees. Examples of this can be seen in the manufacturing industries, automotive industries, and more. The principle beneficiaries of this situation are the smart employees who develop these technologies. No one, including the writer of this essay, can predict the futures of Bitcoin and Blockchain technology, nor assess their impact on the global financial system. The banks have already begun to change their methods in light of technological development, for example, providing services through an application, which has reduced the need for branch employees and caused their numbers to dwindle. There is no doubt that the banks must learn new technologies and move forward with them – because ignoring them will cause the banks to become irrelevant in a matter of years. Some final words: to my surprise, South Korea and China have imposed trading restrictions on Bitcoin, which somewhat negates the claim that the Chinese are the ones behind this currency and have developed it with the intention of harming the American economy. This naturally shifts the focus to Russia and anarchist groups, making them the prime suspects behind Bitcoin, aiming to undermine the dollar’s worldwide hegemony.